Choose from a diverse, weird but wonderful collection of unique wedding rings for a truly personal design that goes far beyond regular customisation. Stretch your imagination and find the unusual wedding ring style crafted just for you. Distinctively styled, this beautiful wedding ring features a heart pattern created from your very own fingerprint. Please remember to select your second ring and we'll contact you to arrange your fingerprints with our free fingerprint kit ready to take your prints. Slight court shape. Available in a wide range of precious metals including Fairtrade Gold. Comfort fit. Many widths available. Alternative styles available engraved with heart fingerprint design. Experience a unique service to create a personalised heartbeat wedding ring. We engrave a unique heartbeat to the inside or outer surface of any of our wedding ring styles, in a wide choice of precious metals. Shown in the 5mm version, this highly personalised heartbeat engraved wedding ring carries a unique heart beat reading, engraved onto the inside or outside of your wedding ring finished with an optional mirror polish or satin finish. Beautifully textured, laser engraved fingerprint wedding ring, created to your exact specifications. Choose your metal type, preference for width and finger size and we will send you the kit to take your fingerprint. Return your fingerprint by post noting whether you require the fingerprint to be engraved on the inside or outside of the ring. Please allow 3-4 weeks for delivery. Image below shows 2 rings. 6mm version alongside 3mm version. 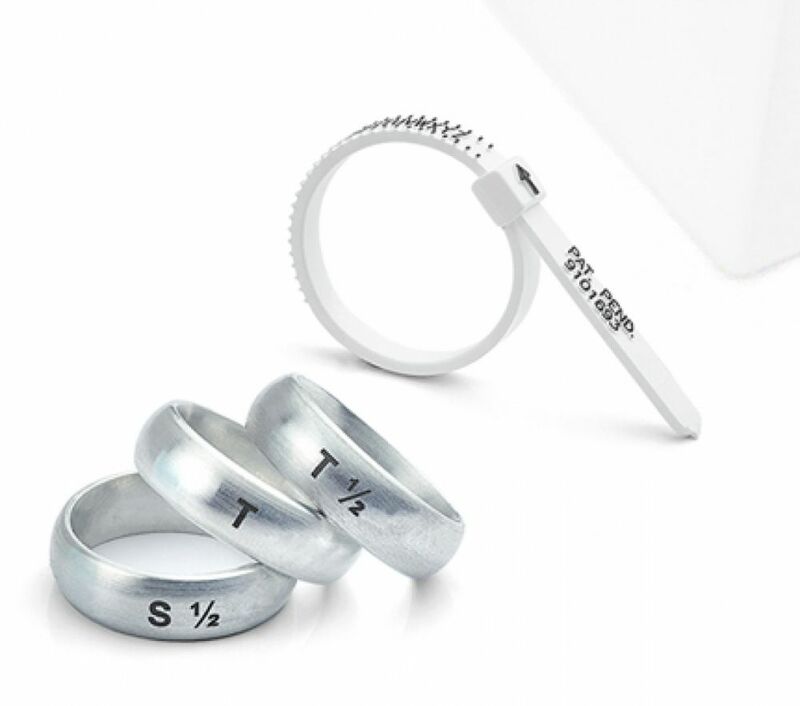 This item is a bespoke design, with alternative wedding ring profiles being available in differing widths. Uniquely styled flat court wedding ring crafted in Titanium, featuring a double row of raised relief engraving of your choice of wording, across a comfortable 8mm wide band. Rune wedding ring, personalised with a beautiful runic engraving. Let us translate your wording, styled into a beautiful engraving applied to the outer or inner face of your wedding ring. This effect is available across most precious metals, shown here on a 7mm Titanium wedding ring. Create your unique Ogham engraved wedding ring, personalised with the unique styling of the ancient Ogham language. Our example shows Titanium 7mm Domed wedding ring with the unique Ogham engraving applied to the outer surface and completed with a mirror finish. 7mm wide Domed D-shaped wedding band. Mirror polished Titanium. Ogham engraving translated by us, from your own wording submitted in English. Available in most other precious metals. Approximately 2-3 weeks for completion. Available for worldwide shipping. A distinctive Roman Numeral engraved wedding ring featuring a customised engraving applied by laser engraving in deep relief with a Times Roman font. Enjoy the subtle beauty of this Roman Numeral engraved wedding ring which features a satin finish, mirror-polished bevelled edges and a customised Roman Numeral laser engraving applied to the surface of a 7mm court shaped band. This Roman Numeral engraved wedding ring is crafted from durable Titanium. We laser engrave your chosen date in Roman Numerals across the central satin finished centre, bordered by mirror polished edges. Benefitting from a comfort fit, this distinctive wedding ring includes thie perfect customised look for a truly unique engraved wedding ring. 7mm wide design. Machined Titanium. Laser engraved with customised date in Roman Numerals. 2-3 weeks timescale. Matte central section, edged by twin groove detail with mirror-polished contrasting edges. A distinctive Celtic wedding ring, styled across a 7mm wide Titanium band. Each Celtic wedding ring is created to order and uniquely patterned with a deeply etched Titanium laser engraving. 7mm wide Titanium ring. Alternative metal choices available. Celtic Knot pattern engraved around the outer surface. Choice of finger sizes. Comfortable court profile with flat outer profile. 3 weeks approximate delivery time. Satin finished, Celtic patterned wedding ring featuring a distinctive laser engraved Celtic pattern applied to a 7mm comfort fit court profile Titanium wedding ring. Solid machined Titanium wedding ring. Simple Celtic knot pattern around complete ring applied to outer surface by laser engraving. 7mm wide. Comfort fit with court profile. Approximately 3 weeks delivery time. International shipping available. Decoratively engraved Paisley patterned wedding ring, crafted in Titanium, featuring detailed Paisley pattern across a substantial 7mm court shaped band. Inlaid with white gold, this Titanium wedding band edges the central satin finished section with smooth rounded mirror polished edges in a truly individual wedding band design. 7mm wide men's wedding ring, crafted from industrial strength Titanium. Features a 1.5mm inlaid 9ct White gold strip, matte finished central section and outer polished edges with a court wedding band profile. This uniquely crafted inlaid fingerprint wedding ring is styled with a mirror polished edge surrounding a central fingerprint engraving. Your commission provides a wonderful opportunity to uniquely personalise your wedding ring within a truly unique design. Choose between the 4mm or 6mm options to create a truly unique effect combining laser engraved fingerprints with a two part ring design. Each comfortable court shaped wedding ring is substantially weighted, and personalised with a fingerprint engraving and completed with a mixture of satin and mirror polished finish. Journey into a finely curated collection of unique wedding rings. We have chosen each of the featured wedding rings for their unusual design features. From inlaid wedding rings with Gold against black Zirconium, to truly personalised engraved wedding rings featuring fingerprints, heartbeats and lines of laser engraved writing. Follow this section to see all of the brand new innovative wedding rings from the Serendipity Diamonds collection. Most of our designs are custom made to order. We liaise with all of our clients to ensure their unique wedding ring is 100% perfect for the wedding day and beyond. Our designs range from precious metals including Platinum, Gold and Palladium to less expensive wedding rings including Titanium and Zirconium in blue, purple and pink colours.